Home Bollywood 7 Reasons: Why Bollywood Is Better Than Hollywood? Bollywood industry one of the primary reasons behind the growth of our economy. Our entertainment industry is ruled by Bollywood. The stars and their movies not just entertain Indian people but are hugely popular even on the foreign land. 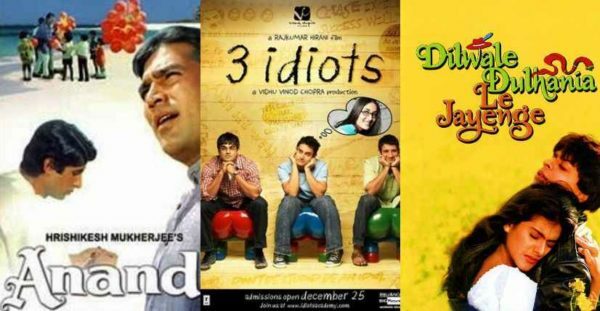 Well, we all often hear that Hollywood movies are way better than Bollywood but somehow as an Indian, we feel that there are certain reasons that prove the otherwise. There are reasons why Bollywood is better than Hollywood at least in certain aspects. 1. Bollywood has the emotional quotient high in their movies than Hollywood movies which prefer a more straightforward approach. Our Bollywood movies definitely have more emotional drama and connect than any other Hollywood movies. 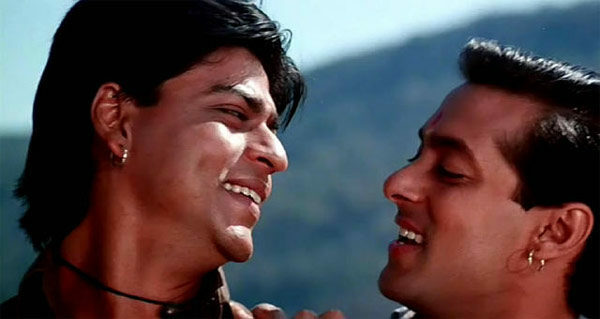 The romantic bond or family ties, the way Bollywood touches heart we are pretty sure Hollywood movies cannot. 2. Bollywood movies offer us soulful songs, dance in the movies while Hollywood hardly has any of it. The Bollywood dance numbers and songs are our every day best friends. Be it party or shaadi, without the Bollywood songs our celebrations are incomplete. Similarly, in movies, our entertainment is hugely dependent on the good songs and dance. Hrithik’s moves and Arijit’s songs are like the soul of any Bollywood movie. We have an audience who appreciates content backed movies and even the ones that are pretty brainless. If we have movies like Newton, we even have movies like Judwaa 2. Our audience can appreciate and watch different kinds of cinema. All movies have their kind of audience unlike Hollywood where they have to live up to the intellectual expectations of their movie goers. We cannot expect movies like Judwaa 2, Dilwale or Golmaal being a hit in the foreign country. 4. Simple stories, great characters, and highly relatable subjects in Bollywood movies while Hollywood focusses more on technical aspects and editing of the movie. Our stories are simple with a very basic backdrop. We don’t have too much of sci-fi or technology involved. Be it Piku, Rani or Geet, our characters are real, one of us. They take the story ahead. In Hollywood, the script, the editing and the elements in the movie plays an important role. We can easily watch the Bollywood movies without the fear of hiding your face when an awkward scene comes up. In any Hollywood movies, baring skin or kissing is a usual thing. In our culture, we obviously find a little awkward watching such scenes in front of our elders. However, with Bollywood movies, we can easily enjoy watching movies with the family. Obviously, there are some exceptions in Bollywood too. Our Bollywood movies are vibrant and involve depictions of many cultures. We show cultural exchange in our movies which no other industry can boast about. From races to religion to languages, our movies represent our culture and ethics in the right light. For instance Namaste London, Ram Leela, Lagaan, and many such movies. 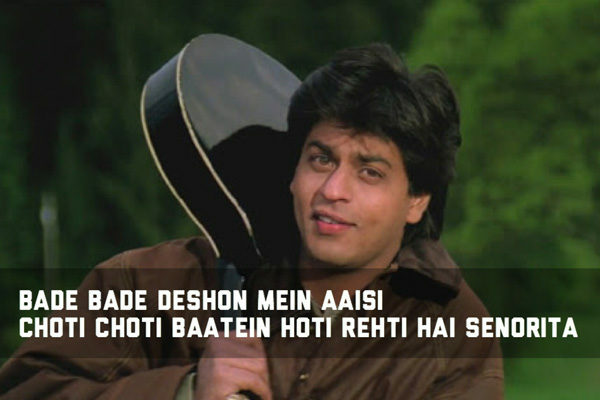 How many dialogues can one remember from any Hollywood movie? Well, the answer lies there itself. Hollywood movies are more of conversation but in Bollywood movie, we have the ‘star’ dialogues that remain the highlight, that becomes one’s motivation, one’s favorite dialogue to be used in any real-life situation. Well, the comparison between Bollywood and Hollywood is highly debatable but the arguments are always put against Bollywood. We lack technical and production quality which is still not equivalent to Hollywood, but slowly we are getting there. We should appreciate our cinema more often. We tried, do let us know if you guys agree with us or not.